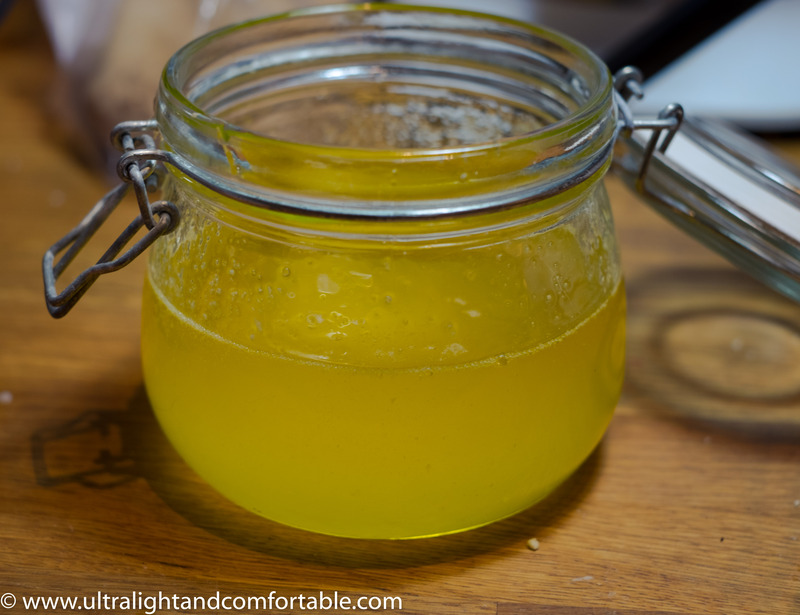 There are different reasons why one should want to make ghee. 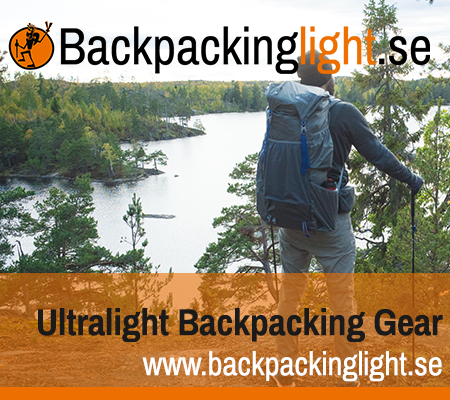 For me I use it both at home and on the trail. 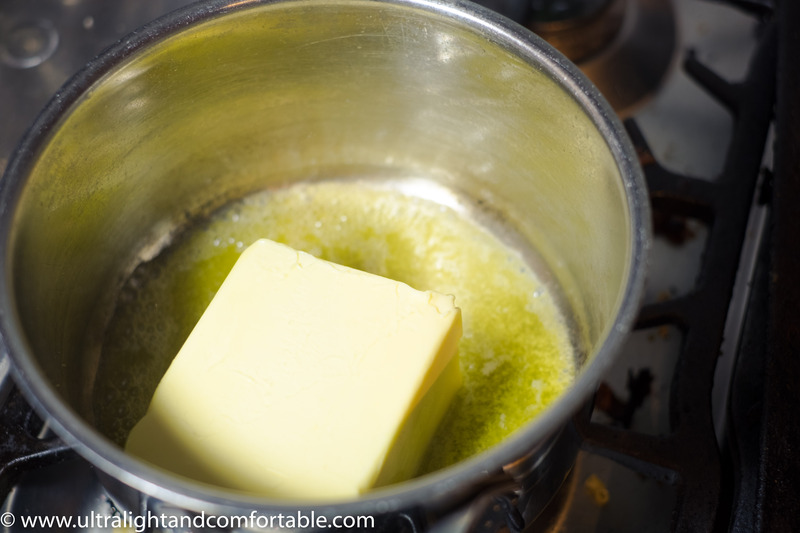 It holds alot better than butter does and I just like the taste. 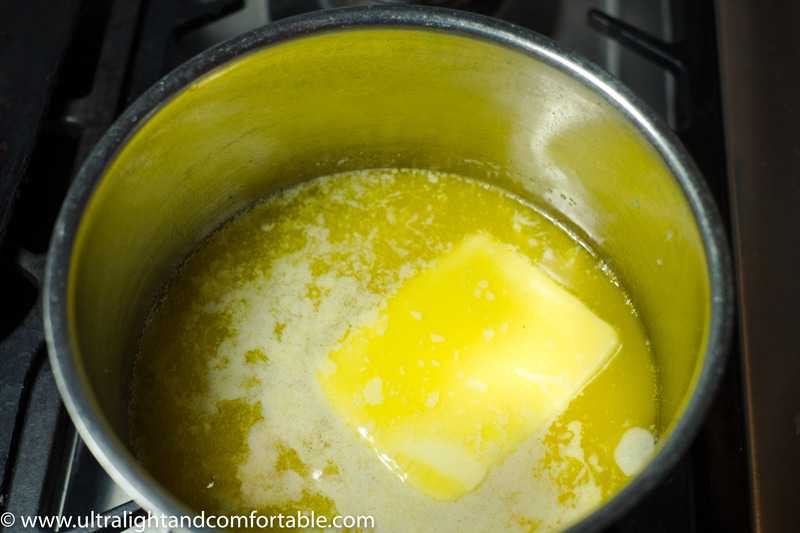 Once the butter is completely melted you will start to see the milk protein bubbling up to the surface. 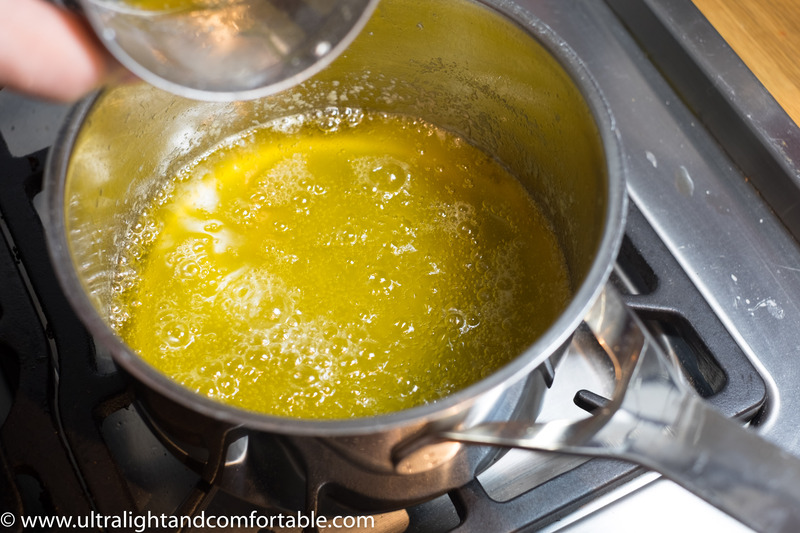 Once all the protein is filtered out the ghee has a nice yellow look to it. You can then pour this liquid into a jar directly or run it through the filter once more. 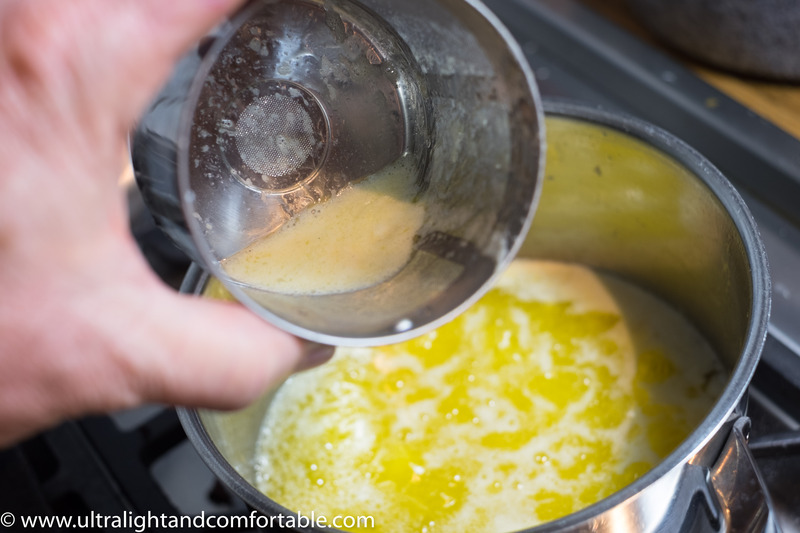 Once the ghee is done place it in a jar at give it some time to settle. Usually takes about a day to completely settle.